The week after I finished Zero Escape: Zero Time Dilemma, I did not thinking about the plot too much. Rather, I spent more time pondering why I enjoy this game despite of its imperfectness. Before that, a one-paragraph spoiler-free review of the game: Zero Escape: Zero Time Dilemma (ZTD) is a mixed bag. Its accelerated pacing and improved animation save a lot of time and button smashing comparing to Virtue’s Last Reward (VLR). It does not hold fire at creating some creepy atmosphere and showing some horrible deaths of your beloved characters. However, the experience is diluted as they are presented in timeless fragmented pieces, which can destroy most of your immersion. Its escape puzzles are unimaginative, featuring mostly very basic and aged formula. The story settles down some of the biggest puzzles of the franchise in a satisfying way, and gives the four main characters (Sigma, Phi, Akane and Junpei) a relatively conclusive ending. However, throughout the second half of the story, you will be haunted by plot holes and rough turning points. However, I find myself still willing to recommend this game, together with VLR, to other people. Because: 1) Phi is cute. 2) Both games make smart use of multi-universe set-up to expose some surprising aspects of a seemingly heroic and romance story. The absurdity and dark humor astound me when every pieces are put together. I would be better if they draw some proper horizontal lines between different branches, as they are not independent of each other. Like “Zero” designs Nonary game to strengthen the participants’ ability, Zero Escape trained us players to view its different branches under a unified scope. In most RPG or adventure game’s “choice & consequences” section, every branch is independent. Sure you can save and load to try different branches, but that is your matter, not what is recognized in the game. In Zero Escape, informations from different branches are REQUIRED to finish the game. Making those choices are no longer a question about your value system, but the same as entering the next dungeon in Diablo: different branches not only coexist, but cooperate in the game’s world, regardless of your action. In my review for VLR, I had criticized for this design because they diminished the importance of choice, but on a hindsight, it is serving a bigger picture. Is a good ending still good, if it is based on those bad ones? Is a bad ending no longer bad, if it is part of the good ones? After all, is anything really changed, if both good and bad endings are there? If you do not catch this, VLR’s Akane is there to help you as she is a materialization of this absurdity. The obsession with “good ending” blinds her as she sacrifices everything brutally just to buy a ticket to jump through time. In VLR, if you ever tried to imagine what happens to people in those “deserted” timelines after the game, or the feeling of Alice and Clover who are hijacked into this mess, you are getting what I want to say here. While VLR still pretends to be a prologue of a journey to save the world, ZTD just breaks the ice by questioning the nature of “shift” ability on which Akane’s AB project is based on. In many situations where the characters want to shift to save the day, suddenly they awake and ask “do we have the right to do that”. What I get is that no matter they have the right or not, it is nothing more than an action of self-preserving, or selfishness if you like the word. They are escaping from the disaster rather than eliminating them. They leave the people who were on the same timeline behind, and robbing the body of the other “self” in the new timeline. I already have thoughts after VLR but those would just be my random wild thoughts if ZTD has not put it on the table. Good job, ZTD. Tracing back a little, I found another interesting aspect of the problem come into play here. What is the relation between the same people going to different time branches? Two theories are plausible. In VLR’s spirit, it is more like they all belong to a same entity, and they share information and are coordinated under some “master consciousness” to accomplish something. 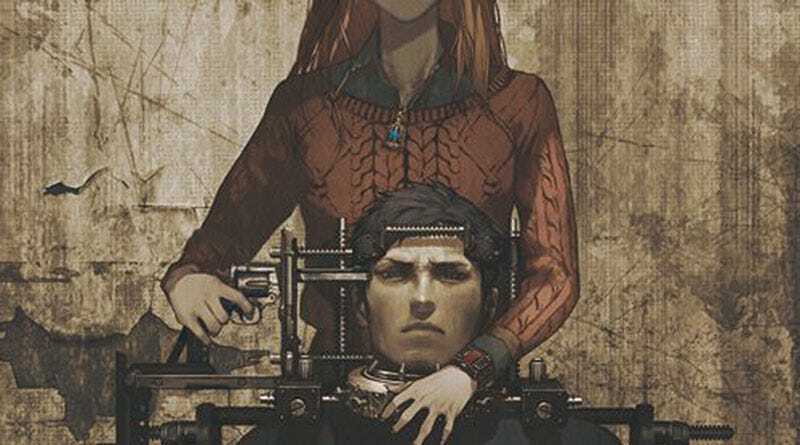 In ZTD, the previous set-up still hold place but in more situations, different consciousness in different timelines are making use of each other for its own survival. ZTD’s camera follows one of them who shifts and deprives other “self”’s of the right to live. (“Life is simply unfair”) This leaves the confusion: Why is this one? Do other Sigma’s and Carlos’s ever tried the same thing? If only this group of persons has shift ability, who choose them to be the superior one out of so many branches? It is a shame the game does not give a more coherent set-up, nor any smarter thoughts. But these ambiguities just make it more fun to think of statements such as “we changed the history”. Who changes? What is changed? The amusing moment is in the end of the ZTD, protagonists accuse Delta for murdering in other timelines. In fact, they have being doing whatever they want to “other timelines” throughout the game and only care it when they need to accuse someone. Delta is depicted as the master behind the story but he is also a slave of fate. He sacrifices everything he can to fulfill a future that is already determined. (“Cycle of fate” is another theme this game presents fantastically, but I am not going to talk more about it here.) He does not even has an illusion of “I am saving the world/my loved ones” as placebo. His vision is boring: The people standing before him are a bunch of lucky ones who crawl through a time maze and think they have changed the history. Nothing is changed; Humanity will be destructed by virus, by nuclear war, or stay okay; Junpei marries Akane, or never sees her again; Everyone or no one is executed. However, I believe this is the vision the game wants its audience to have: a barren land of value and moral, and every action is diluted in the flow of history. You can argue that no matter the outcome, the struggle all the characters ever made itself is extraordinary, but it is only extraordinary to someone with a superior mind to treat all these like a game, like Delta, like us.